What to See in Rishikesh | Making Trip for Rishikesh in 2019 ? What to See in Rishikesh | Are you making trip to Rishikesh in 2019? A quote for travelers is "Don't believe what they say, Go and See" yes travelling to some places where you spend some days unknowingly, whats better than this. Its an amazing life and don't make it so busy by always doing work and stress, just live it the way it is. Don't worry too much about future because it will be good, don't take much stress everything will be okay. Take a gap from your busy life and make a trip to Rishikesh the place of Yoda and Meditation. Enjoy the every bit of life. 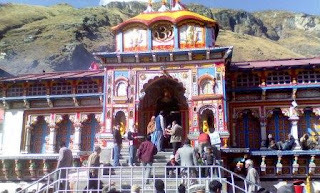 The Char Dham of Uttarakhand (Badrinath, Kedarnath, Gangotri and Yamnotri) are very holiest and sacred places in India and every year many devotees come to visit these places and temples of God. The places are located in Hills of Uttarakhand can be reached by road transports, Helicopter and Trekking in some places. The Char Dham Yatra opens during summer season and closed during Winter because of Heavy snow falls in Uttarakhand Hills. The temples opens in April - May month and close in Oct- Nov month. All the places are located in high elevation so take some warm clothes with you if you are planning to Visit Char Dham Yatra this year 2019. Trip to Haridwar 2019 What to See? Haridwar the Gateway of God or if we divide the word like Hari means God and Dwar means Door. So its the place for spirituality and worship, every year many devotees came to Haridwar for religious purpose. Haridwar is widely known place and there are many sightseeing in Haridwar you can visit in one day but how? so we are here going to tell you the famous spots of Haridwar and How you can visit Haridwar in one day. Haridwar is well connected with Road Transport and Railway lines as well the nearest airport is around 35 KM from here which is Jolly Grant Airport Dehradun. So don't worry about how to reach Haridwar. You can easily come Haridwar via Road, Air and Trains. If you are the Cab owner or Taxi Driver then you have always worry taxes of Taxi cab, because if we have any taxi cab we have pay road taxes to government. And when we go to RTO office we need a full day to do so because we will be in a long queue and it also take much time. So why worry if we can directly pay the online Vehicle Tax for any Taxi in our home. And today we will tell you how we can do this easily. Yes, its an easy process that will hardly take you 2 minutes and you can do other work after paying taxes. Suppose you Taxi Cab is some other places in Hills and Taxes for the month is end, so what you will do, you can tell anyone at home and they will make the tax payment directly from there easily.